Your consciousness is your ability to be aware of yourself and the world around you and to feel connected to it. Raising one’s consciousness while often used with specific spiritual connotation is becoming more aware and in tune with your life, having fewer misconceptions, false beliefs, and traumas running your life from behind the scenes. But how does one measure consciousness? We are all conscious to some degree, and so are animals. Even trees have shown that they are conscious, even if not self-conscious. Many spiritual leaders say that absolutely everything that came from Earth has consciousness. When it comes to people, there has been a great push towards raising the consciousness of society as a whole—and this evolution starts with each person individually. Rev. Dr. Michael B. Beckwith, minister and founder of the Agape International Spiritual Center, grouped human consciousness awareness into four distinct stages. While it is possible, to be between any two stages, most people fall into one of these belief systems. Unless you were lucky enough to be born quite awakened, chances are we have all been there—feeling like the victim, feeling powerless, and blaming the world for everything that has ever happened without taking any personal responsibility. A lot of people you know may still be stuck at this stage. When you feel like life is happening to you, suddenly everything is moving too fast around you and everyone is out to get you. Bosses at work are ruining your peace, family members are being rude and selfish, friends are being flaky, and the government is the root of almost all of your other problems. All of these are just stories people tell to themselves. In many cases, a person eventually gets tired of constantly being the victim and begins to believe that life can be controlled by them. This is when the person rises to the second level of consciousness. At this level, you can take your power back, which is a good thing and a step forward. The downfall at this level is that a person can become controlling and greedy and begin to put others down—consciously or unconsciously. This is where politicians, misogynistic men, radical religious groups, and all extremist groups re-enforcing an “us vs. them” mentality, are born. Another level of negative control that can stem at this level is controlling yourself in a way that prevents you from being you. Instead, you are constantly hard on yourself and are pushing yourself too much. Making goals can be used as a control tactic at this level. Even spiritually-driven individuals can get caught up in this level, thinking that it is possible to create any reality. While the statement is mostly true, gaining full control of reality separates you from the natural flow of life and other people’s wishes and freedoms. Chances are the first two levels did not work out for you. Feeling like a victim and constantly trying to control everything both lead to burning out and unhappiness. At this point, you may be able to rise to the next level of consciousness where you believe that life happens through you. That means that you trust in life itself and that everything that happens in life is meaningful and has a purpose. When you achieve this level of understanding you should be able to wake up each morning with feelings of peace, joy, and excitement for the new day and what it brings. You are no longer reactive to things that happen, neither are you trying to control every single part of your life. Instead, you are going with the flow and enjoying every moment while feeling immensely grateful for everything. You feel alive; you feel free, and you feel deeply connected to the universe. 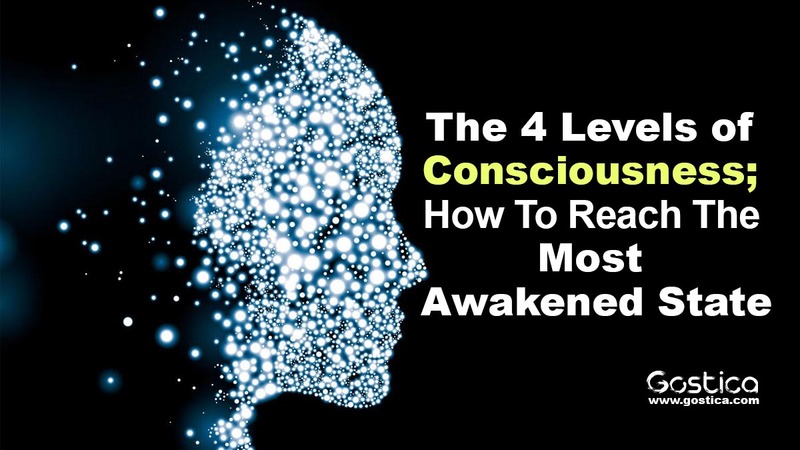 Once you have realized through level three that everything in your life flows, you open yourself to the possibility of reaching the top level of consciousness. This is the realization that life is you, and you are living. You are not separate from anything around you. Nature, animals, people, and every experience anyone has ever had are all connected to you. You are experiencing life and life in experiencing itself through you. And everything is perfect; everything is love. This is the level of consciousness where you come home to the universe and fully enjoy the miracle that you are—and you just are. This state of being is also known as being Enlightened, Self-Actualized, or being a No Limit Person. There is nothing specific that you need to do, achieve or have. All you have to do is trust the universe, and just be.